WASHINGTON, D.C. – NHRA drag racers Steve Torrence and Clay Millican joined NHRA vice president of track management & operations, Kasey Coler in Washington D.C. this week to meet with congressional offices representing racing communities all around the country. As part of the National Motorsports Coalition, Torrence, Millican and Coler urged congress to take action to ensure the motorsports industry has the tax certainty it needs to continue making long-term investments in their facilities. The day on Capitol Hill was capped off with a reception coordinated with support from the Congressional Motorsports Caucus, an informal, bipartisan group of members dedicated to celebrating motorsports of all varieties and understanding their impact on American culture and the economy. 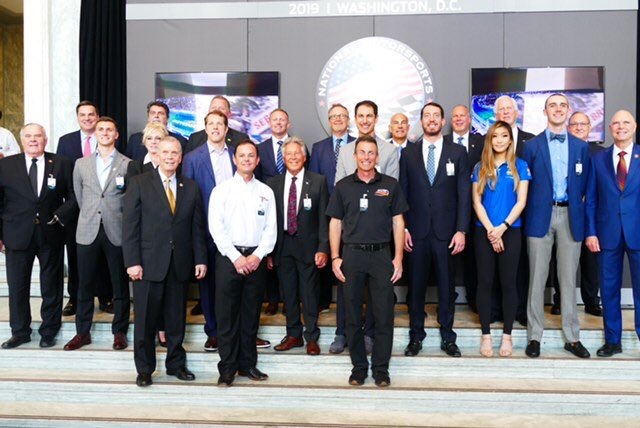 Several drivers joined the National Motorsports Coalition in visiting with a group of nearly 200 Congressional members and their staff, including: Trent Hindman (IMSA); Mario Andretti (IndyCar); Kyle Busch, Austin Cindric, Brad Keselowski and Joey Logano (NASCAR); and Tracey Gardiner and Samantha Tan (USAC). Guests heard remarks from ACCUS President George Silbermann and Representatives Mike Thompson, Bill Posey and Richard Hudson. Other special guests included representation from Speedway Motorsports, Inc., and Iowa Speedway. With motorsports having a presence in nearly every state across the country, Representatives Bill Posey and Mike Thompson recently launched the Congressional Motorsports Caucus (CMC), whose members include more than 50 Congressmen/women. 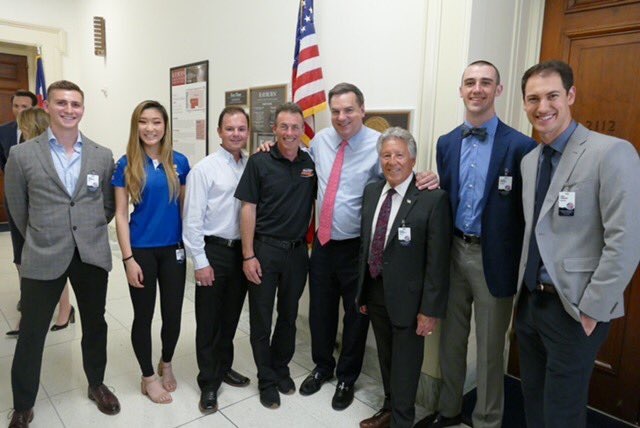 CMC, with The National Motorsports Coalition, will continue to work closely with industry stakeholders and Congressional leaders to advocate for issues in the best interests of the motorsports industry.